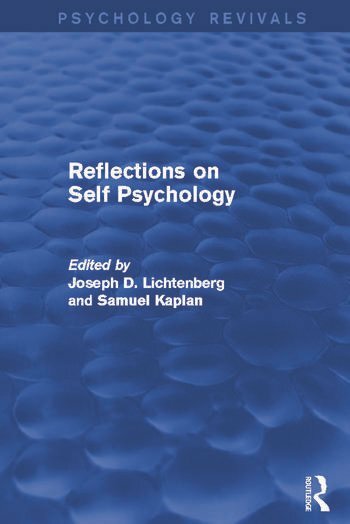 Originally published in 1983 Reflections on Self Psychology records the development of a powerful initiative to alter psychoanalytic theory and practice, and an evaluative questioning of this initiative. It presents a dialogue that developed at the Boston Symposium of 1980 between vigorous proponents of self psychology, equally energetic critics, and many participants between these polar positions. This book attempts to capture within its pages not only the content of what was presented, explored, and evaluated in Boston, but also a sense of the people, about 1,000 strong, who exchanged their ideas on and off the podium – and the remarkable spirit of open inquiry that invigorated these proceedings. The book, as was the meeting, is organized to explore four subjects: the development of the self: infant research; the implications of self psychology for psychoanalytic practice; self psychology and psychotherapy; and the implications of self psychology for psychoanalytic theory. The final section of the book is devoted to an essay by Heinz Kohut that provides an integrated response to the issues and criticisms raised in the course of the symposium. This essay while based on extemporaneous responses by Kohut during different phases of the meeting, is, in its written version, a cohesive, carefully revised, and edited statement prepared in the mellowing period following the meeting and before Kohut’s untimely death.